Lion opens in remote rural India, where tiny Saroo, having promised to wait for his brother on a train platform, curls up in a stationary train carriage, and wakes up with the empty train moving at speed across the country: it stops nearly a thousand miles away, in Kolkata (then Calcutta). Even when, after months on the streets, he finally finds help, Saroo doesn’t know the correct name of his town (a maze of shanties), or even his mother’s name. He is adopted by a Tasmanian couple, and starts again, with a new family, language and home … until, as a young man, he goes searching for his original family using Google maps and a patchwork of visual memories. 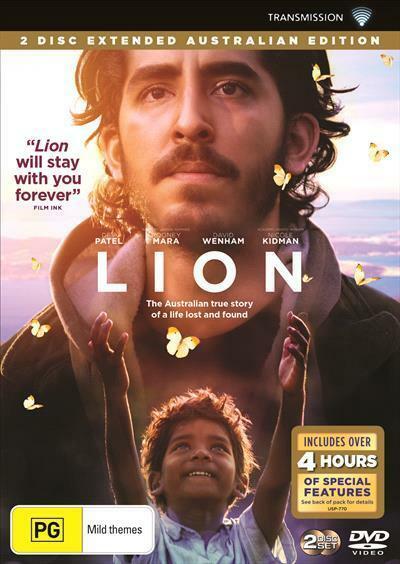 The film anchors us firmly inside Saroo’s experience from the beginning: everything unfolds from his viewpoint and limited perspective, with the story eked out in fragments of detail that the young Saroo can often sense rather than interpret the meaning of. It’s shot lovingly in rural India and Tasmania, imbuing his materially poor birth home with an emotional warmth felt through shimmering, tree-shaded sunlight, the red dirt of the land where his mother harvests rocks. Kolkata, by contrast, is claustrophobic, secreting danger. Dialogue is palpably sparse, often absent for long stretches, intensifying our sense of Saroo’s isolation. Instead, we get a sensory overload: the menacing roar of trains and traffic, the alien cackle of a kookaburra as his adoptive parents first drive him home, crayon-blue skies and waves of arid countryside. The effect is an emotionally layered film that invites its viewers to vicariously experience Saroo’s deep connection to both his homes, and the dislocating wonder of arriving in western wealth. Through Saroo’s adopted (also Indian) brother’s inability to assimilate to a comfortable life, or to let himself be loved, we also glimpse the darker complexities, and range of potential outcomes, of international adoption. Sunny Anwar, who plays the young Saroo, gives a phenomenal, intensely physical performance; the emotional landscape of the first half of the film is largely played out over his deftly expressive face. Dev Patel, as the adult Saroo, projects a magnetic affability that peels away to reveal a core self still haunted by his other life and lost family, much as he is grateful for what he has in the present. And Nicole Kidman, as Saroo’s adoptive mother, earns her Oscar nomination with a beautifully calibrated performance of fragile strength.